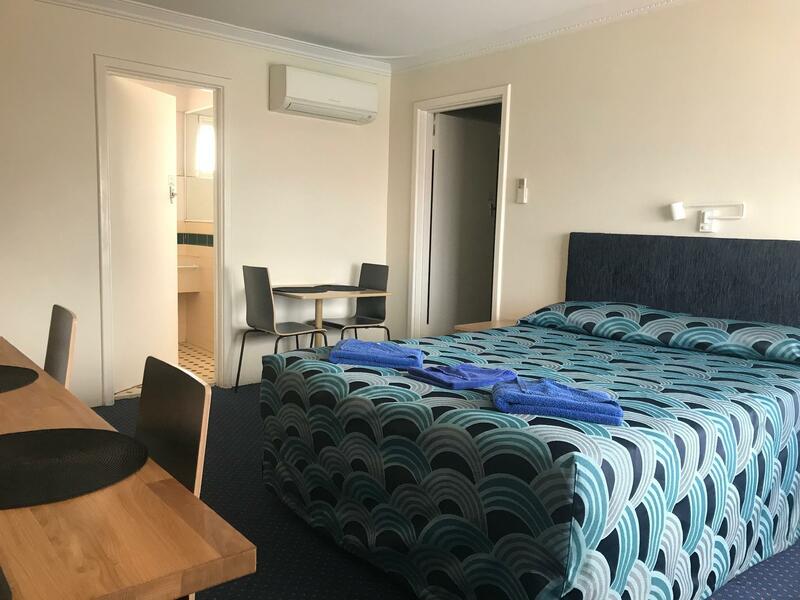 يشكل فندق Bunbury Motel & Serviced Apartments بموقعه الممتاز في قلب South Bunbury نقطة انطلاق ممتازة لاستكشاف بانبورى. إن موقع الفندق الاستراتيجي، الذي يبعد فقط عن مركز المدينة، يسمح للنزلاء بالوصول سريعاً وبسهولة إلى العديد من الوجهات المحلية المثيرة. إن سهولة الوصول من الفندق إلى المعالم السياحية الشهيرة الكثيرة في المدينة كمثل ‪St Patrick's Cathedral‬, Mulberry House, ‪Leschenault Inlet‬ هو استثنائي بحد ذاته. يقدم Bunbury Motel & Serviced Apartments خدمات لا غبار عليها وكل أشكال اللياقة وحسن الضيافة اللازمة لإسعاد ضيوفه. يقدم الفندق فرصة للاستمتاع بشريحة واسعة من الخدمات بما فيها: واي فاي مجاني في جميع الغرف, مرافق مخصصة لذوي الاحتياجات الخاصة, تخزين الأمتعة, صف السيارات, خدمة الغرف . لقد جهزت هذه الإقامة الفندقية بعناية فائقة لتوفر مستوى عالي من الراحة. في بعض الغرف يجد النزيل تلفزيون بشاشة مسطحة, اتصال لاسلكي بشبكة الإنترنت (مجاني), حوض الاسترخاء, غرف لغير المدخنين, مكيف هواء. يقدم الفندق مجموعة واسعة من وسائل الراحة المتنوعة، كمثل: حمام سباحة خارجي. 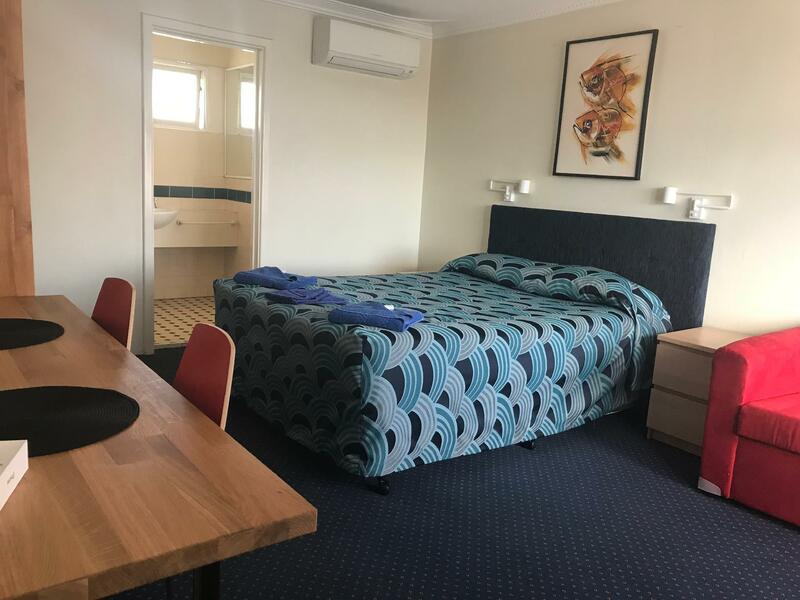 إن Bunbury Motel & Serviced Apartments هو خيار ذكي بالنسبة للمسافرين إلى بانبورى، بما يوفره من إقامة هادئة ومرحة. We had a late arrival into a Bunbury so didn’t want to spend a fortune for a sleep for the one night. The room we had was dated but clean and has everything you could need, plus the bed was very comfortable. exceed expectation. serviced apartment is clean and cosy. good for a night sleep. except that they are going on a construction in front which can be quite disturbing if you wake up late in the morning. 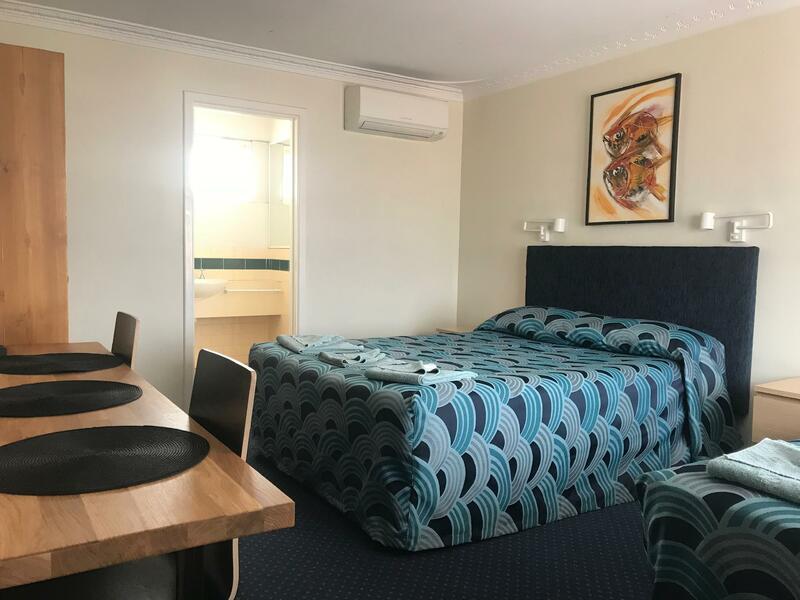 Had stayed in this motel namy years ago and as we travel to Bunbury regularly and are trying to secure a reliable motel to stay in each visit decided to try Bunbury motel again. We were more than happy with our room although next time we would like to try the new rooms which are available rather than the old block of motel rooms. The older rooms are at a cheaper rate which is understandable. We have been staying here for many years and have seen changes. Currently they demolished an old motel section and are close to finishing the new construction. We stayed in the old two level motel units as we only needed somewhere to spend the night and although old, it fits the bill. In the demolished section, they had a small restaurant where a cooked breakfast was available at very reasonable prices and hopefully will be part of the new development. We have also stayed in the serviced apartments which I estimate to be about 5 years old now. They are very comfortable, well sized and they even have some units well suited for people with mobility issues with regard to bathroom, entry access etc.While construction is under way, it is understandable that there will be some disruption and the phone system isn't operating. They have a large pool with adjoining under cover BBQ area making it ideal for a holiday maker & families. Tradies and others working in the area will benefit from the very reasonable rates of the motel style units. I often see sporting visitors staying there too. Why pay more. We had a pleasant and restful stopover. The Motel was what we expected for what we paid but in much better condition than other motels we have stayed in for similar price. Although the Motel is close to the main highway it is conveniently located to petrol stations, shops and restaurants and is very quiet. Although we only stayed there for one night, this place is nice! It is clean and comfort to stay. It has big bathroom and the price is absolutely reasonable to what it provided. Wifi is also good and the check in process is smooth! I would like to recommend this to anyone who want to visit Bunbury. We booked in a short notice for 1 night on a Friday. We booked a 2 bedroom accommodation with spa bath. The room was great, very clean and all the amenities we needed were available. When asking to extend our stay for an additional night the staff member (David) was incredibly helpful and accommodating. We will definitely stay here again and recommend to future travelers. Even thou we are locals we stayed as we had a party within walking distance from here. Reception was friendly and organized, and our room was nice and very clean, even had a spa. Would recommend this to anyone traveling to Bunbury. Checkin was fast, and there was free wifi connection. Room is small but clean. The facilities in room seems outdated and there is only microwave and toaster available. The toilet looks big and needs to be upgraded. In summary, it is good for a 1 night stay. Everything great. We were upgraded to a one bedroom apartment. Value for money, size of spa suite was huge and good car parking. Really enjoyed our stay in the spa suite it's a massive room with kitchenette and for the price it cannot be beaten for value in Bunbury. It was in a great location, and the rooms were reasonably clean (some dust on power points/light switches) however the room I stayed in really needs updating - but for the cheap price I paid, I wouldnt complain too much. I wasnt informed about how to order breakfast or if I was even able to, which was a disappointment as I would utilised this service. Pillows were comfy, but the mattresses were too firm for us. We didnt get to use the pool as it was over crowded and not big enough for the amount of guests staying. Paid for a basic motel room and that is what I got. There are newer apartments but with the rate I got I was put in the older motel rooms. Has basic facilities and was old, but clean. Ok for a one night stay. They are also building new structures at the moment which I believe includes a restaurant. A group of inebriated young men created excess noise in an open-air court yard right outside our rear wall. This wall was a thin flimsy plywood affair that did not stop the noise in our room. The back wall is not effective at stopping noise and in any case, noisy parties in the open air adjacent to other guests rooms should not be permitted. The night manager spoke to the revellers who continued with the noise for another half hour. The construction of the rooms back walls is not good enough. Good parking. Ground level apartments with individual car park - so no climbing of stairs and loading and unloading of luggage is so convenient. Wifi speedtest download is less than 2 gbps and upload speed is near zero (poor). Clean but worn down; staff seem short-handed - so can imagine the service; No toiletries provided (almost literary) - only toilet rolls and a small bar of soap. There is however, a kitchen utensils and a microwave oven. Location is quite good. Easy going motel to stay overnight. Stayed in one of the older rooms which was showing signs of age but still comfortable. Restaurant is open for breakfast but just as easy to have in your room. I would stay here again. Really good place for the night.